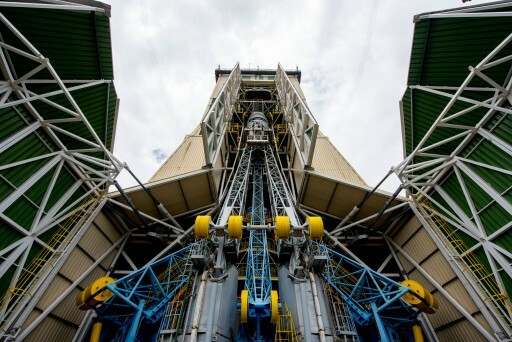 Update: The launch of the VS14 mission with Sentinel-1B & secondary payloads has been rescheduled for Monday at 21:02:13 UTC, pending the replacement and re-testing of the faulty Inertial Measurement Unit that caused the launch scrub on Sunday. 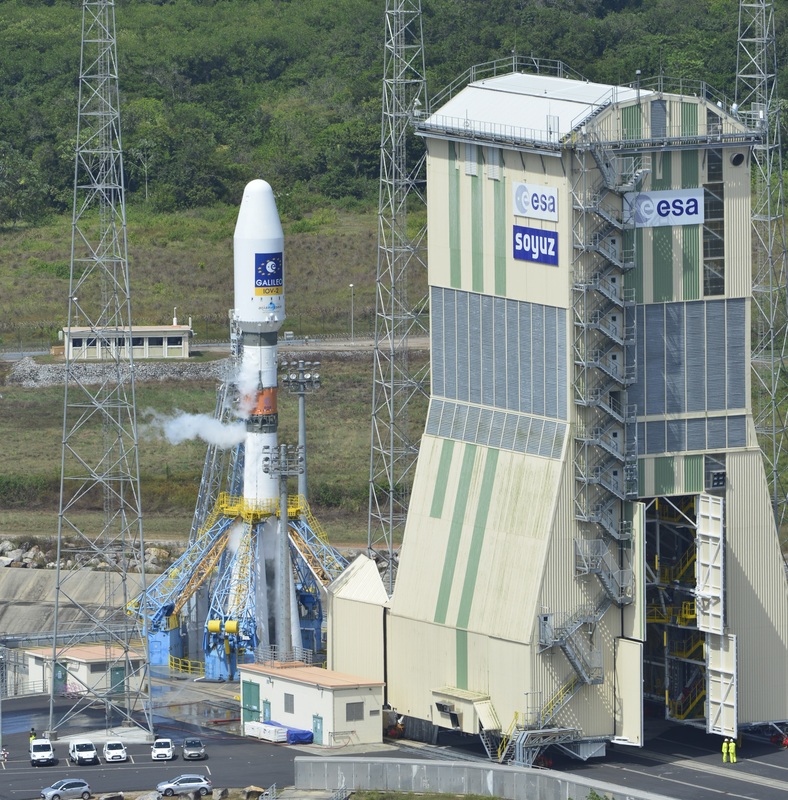 A decision on whether to press ahead with the launch will be made by L-5 hours on Monday (16 UTC). 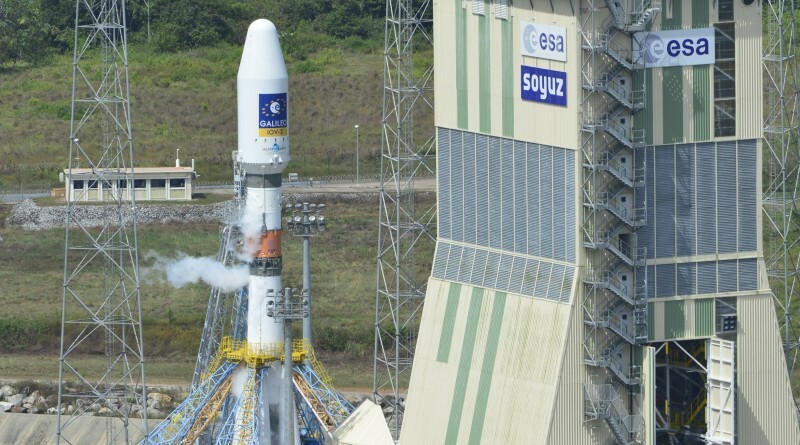 The launch of Europe’s Sentinel-1B satellite atop a Russian Soyuz rocket was scrubbed on Sunday close to the last hour of the countdown due to a technical issue with the 46-meter tall rocket. Sunday’s launch attempt was the third for this mission after countdowns on Friday and Saturday had to be halted due to unfavorable weather conditions. The Soyuz ST-A launch vehicle had to stay on the ground on Friday due to persistent thunderstorms moving over the area as well as strong upper level winds, not permitting the vehicle to safely ascend through 2,000 to 3,500 meters in altitude. Upper Level Winds remained out of limits on Saturday, again forcing teams to abandon the countdown prior to propellant loading. While winds aloft were still a concern on Sunday, the pattern appeared more favorable and clearance was given to load the Soyuz with propellants, starting four hours and 20 minutes ahead of the planned T-0 time of 21:02 UTC. Throughout the early phase of the countdown, Sentinel-1B, its Soyuz launcher and a worldwide network of ground stations completed testing to verify readiness for launch. Propellant loading closed out as planned and teams pressed into a second round of systems checks on the Soyuz inside two hours to the anticipated liftoff time. An issue with the Inertial Measurement Unit of the Soyuz rocket was detected as part of testing, requiring the countdown to be held at T-1 hour and 5 minutes. Teams headed into Soyuz safing and de-tanking procedures while work began to evaluate the IMU problem. Soyuz ST-A employs a majority-voting system between its three IMUs as part of the improved guidance and control system of the Soyuz 2 series, built around a Digital Flight Control System. When the next launch attempt can be made depends on the work required to solve the IMU issue, most likely a replacement of the component. 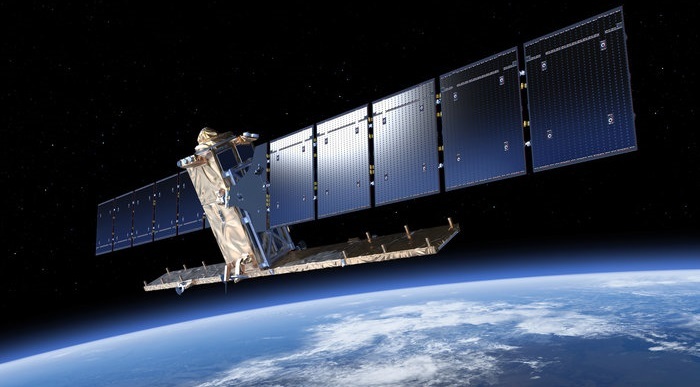 Additionally, operational constraints may arise as replanning for the satellite’s first days in orbit has to be completed at the European Space Operations Center. Another attempt is possible on Monday with weather looking similar to Sunday’s conditions and an expectation of more favorable upper level winds. Should the launch drift further than that, winds aloft will strengthen again. At the European Space Operations Center, teams began safing of the Mission Control System and re-arranging ground station support for a rescheduled launch on Monday to ensure the ground system will be ready to support another attempt. A decision on whether a Monday launch is possible will be made after a time table for overcoming the IMU issue and associated re-testing can be drawn up. 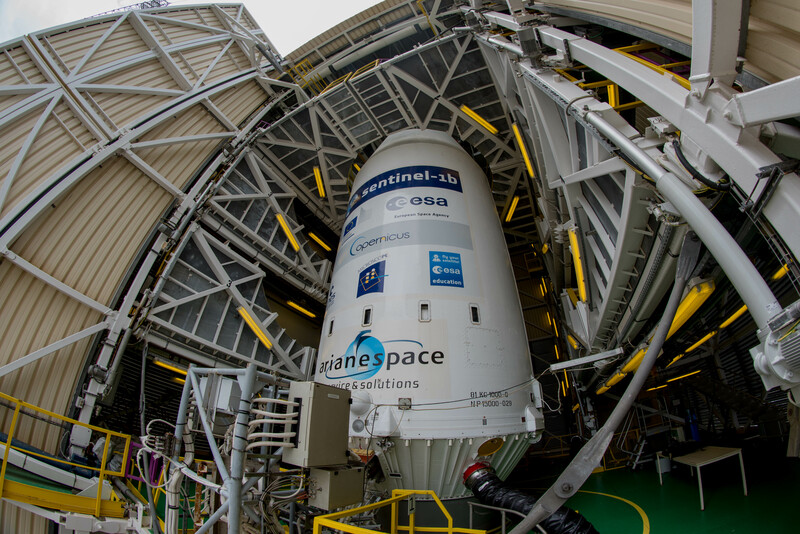 Tucked into the ST-type payload fairing, Sentinel-1B weighs in at 2,164 Kilograms. Built by Thales Alenia Space, the spacecraft sports a 12-meter long radar antenna that deploys after launch and bounces 5.4-GHz radio pulses off the ground and records the reflected signal to extract information on ground geometry and properties. With 280 active phase centers, the 945-Kilogram C-SAR payload consumes nearly 5,000 Watts of power and collects hundreds of measurements per second using different operational modes to either cover a large area on the ground or achieve high image resolutions. Sentinel-1B is joined on this launch by the French MicroSCOPE satellite setting out to complete a physics investigation into the validity of the Weak Equivalence Principle (WEP) which postulates that a perfect proportionality exists between the inertial mass and the gravitational mass of a body. Resulting from the WEP is the ‘Universality of Free Fall’ which states that all objects fall with exactly the same acceleration in the same gravitational field. Three small CubeSats from Denmark, Belgium and Italy are also part of this mission and waiting for their turn to head into space.